The Wiz LIVE! Original Soundtrack On Sony Masterworks! 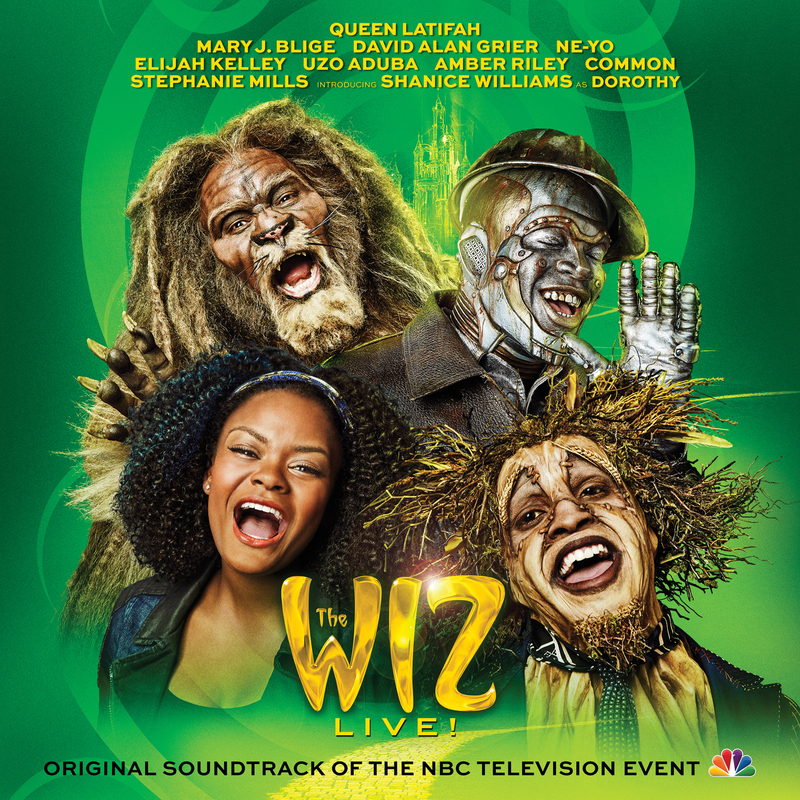 NBC embarks on its latest musical holiday tradition: a 3-hour LIVE event production of The Wiz, the groundbreaking Broadway show that brought Oz to life in a funky sing-along journey down the yellow brick road. Rising star Shanice Williams leads an all-star cast featuring Queen Latifah (The Wiz), Mary J. Blige (Evillene), David Alan Grier (Cowardly Lion), Ne-Yo (Tin Man), Elijah Kelley (Scarecrow), Uzo Aduba (Glinda), Amber Riley (Addaperle), Common (Bouncer), Stephanie Mills (Auntie Em) and Cirque du Soleil. The Wiz, The Wiz Live!